Nowadays, digital identities encompass not only humans and other living beings but also of an exponentially growing number of devices. In addition to that, with the emergence of Customer IAM, including social login, it is imperative that identity related data are readily available to facilitate a seamless experience across multiple devices and thousands of interactions. Unavailability of those data could result in businesses easily losing their valuable customers to the competition. Even with traditional IAM, frequent mergers and acquisitions demand collaboration between heterogeneous identity systems, and the success of the businesses relies on that heavily. The recipe behind a successful ecosystem, that fulfills the demands of the modern consumers and enterprises, involves the utilization of Identity APIs that are based on recognized standards. In this talk, Shankar will discuss how Identity APIs have evolved over the time to cater the consumer and enterprise requirements, and real-world scenarios where tough identity challenges have been successfully tackled by using them. Shankar oversees WSO2's engineering efforts that are focused on developing middleware platform capabilities. He has provided technology consulting on customer engagements, including cloud, distributed systems, enterprise integration, governance, and security solutions. 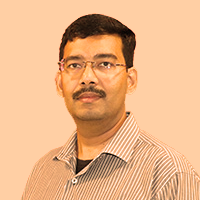 Shankar is an Apache Software Foundation member and committer in various Apache projects. He has extensive knowledge in cloud computing, service-oriented architecture, security, governance, enterprise integration, and telecommunication billing systems.